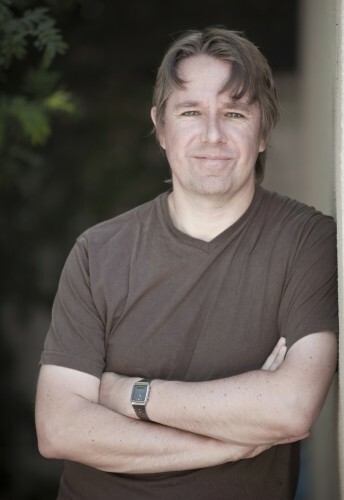 Hot after the release of his novel Poseidon’s wake and his short-fiction Slow Bullets famed SF author Alastair Reynolds has another book almost ready to go. It is entitled The Medusa Chronicles and it was co-written with another famous SF author, Stephen Baxter. 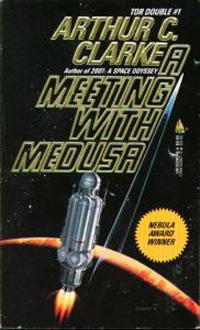 The story is a sequel to the Arthur C. Clarke novel A Meeting With Medusa, published in 1971. The novella served as inspiration for the space dwelling creatures from the Star Trek TNG pilot Encounter at Farpoint. Readers of this blog will know I am major fan of the works of Alastair Reynolds, the same goes for Stephen Baxter and Arthur C. Clarke. The exact release date for The Medusa Chronicles is as of yet unclear. Amazon.co.uk has it set to February 18 2016 while the Amazon.com has it slated for May 2016. Goodreads pins it down to May 19th. It will be published by Gollancz. It is estimated to be about 320 pages in length, rather short for both authors. Not much is really known of The Medusa Chronicles beyond the press release. At this moment it is unclear whether the novel is standalone or the first of a series. I believe it is the latter, Stephen Baxter is especially known for his story collections. You can read the synopsis for The Medusa Chronicles below. Following an accident that almost cost him his life, Howard Falcon was not so much saved as he was converted, through the use of prosthetics, into something faster, stronger and smarter . . . but also slightly less human and more machine than he was. And with this change came an opportunity – that of piloting a mission into Jupiter’s atmosphere, and ultimately of making first contact with the life forms he discovers there. Picking up the threads of humanity versus artificial intelligences and machines, and of encounters with the alien, this collaborative novel between two superb writers is a sequel to Howard Falcon’s adventures. A proper science fiction adventure, this is perfect for fans of Golden Age SF as well as the modern SF reader. For those reader who want to enjoy an engaging story by Alastair Reynolds can follow the link. Subterranean Press Magazine published one of his short stories entitled The Last Log of the Lachrimosa. It is the first story set in the Revelation Space universe since 2009. If that isn’t enough I can recommend his most recent novella Slow Bullets which I reviewed earlier in the year. Meanwhile author Alastair Reynolds has announced a second novel for 2016. It is as of yet untitled, but it is referred as 4 of 10. Reynolds of course has a 10 book contract with his published which cost them a lot of money. A the author is also very prolific writing for Dr. Who and such I wonder of there is a timeline? Little is known about this book other than a cryptic reference found on the author’s blog. It’s a standalone […] and not related to anything else I’ve written, and will (I hope) turn out to be something fast-paced, colourful and not least of all fun. It is tentatively scheduled for June 1st 2016. Meanwhile Syfy channel has gone crazy and decided that they are going to make proper TV shows. The changes have been worked on for some time, but the end of the year will see the release of an adaptation of Childhood’s End. This story is based on the 1953 story by Arthur C Clarke. Also 3001 The Final Odyssey will get an adaptation from Syfy. It never rains but it pours. This was The Medusa Chronicles. I hope you agree we live in an exciting time. Next story The Force Awakens books and novels announced!